Lucidchart's intuitive, drag-and-drop design helps you communicate visually to optimize important processes, making it one of the web's most powerful online process mapping tools. Use Lucidchart to create process diagrams that help highlight inefficiencies and identify areas for improvement. Collaborate with others so you can increase efficiency across your organization. Getting started is as simple as dragging and dropping shapes onto the canvas. Lucidchart’s process mapping software offers professional templates you can customize or use as inspiration as you diagram. Lucidchart’s collaborative process flow software makes it easy to diagram your current process and gather the feedback you need to start optimizing. 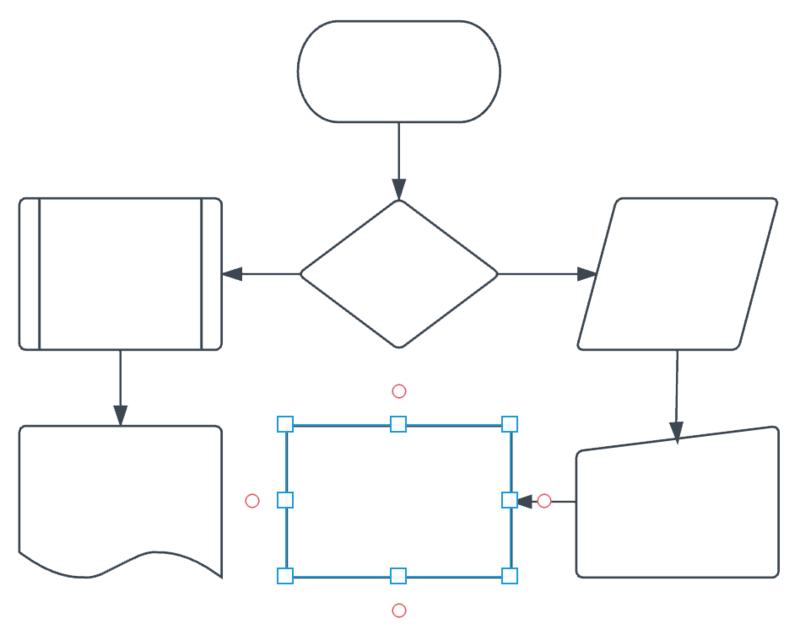 Create polished and professional future state diagrams that you can share with stakeholders to clearly explain your proposed solution and earn approval to move forward. Lucidchart’s process mapping tool acts as a central repository for all your diagrams so you and your colleagues can easily reference them for onboarding and troubleshooting. Maintain control of your documents by only granting commenting or view-only access. 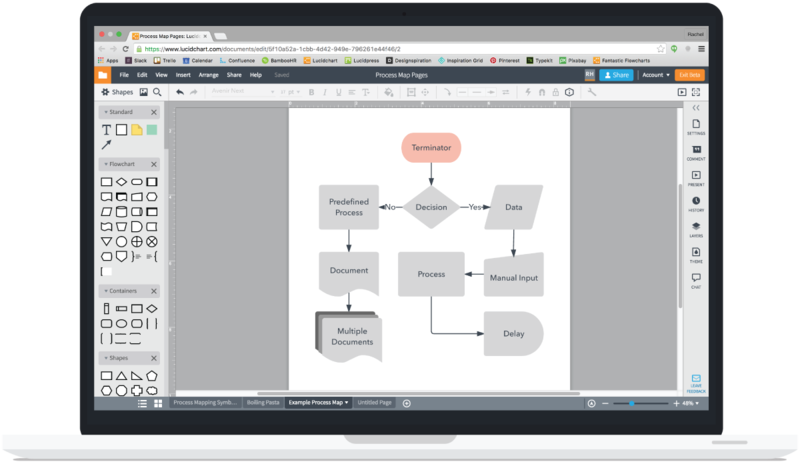 You can also embed process diagrams in your existing documentation by using our integrations with G Suite, Microsoft Office, Confluence, and Jira Software. Right from the beginning, our process mapping software is incredibly easy to use. Lucidchart does not require any installation or setup—you access the latest version of our software every time you log in. Plus, the diagramming interface is so intuitive that anybody can make a process map instantly. Your process maps are relevant to the entire company and meant to be referenced frequently. Lucidchart allows you to share your process maps with anyone, including decision-makers, even if they don’t have a Lucidchart account. Just send a link, PDF, or PNG, or embed your diagram in a company wiki or webpage. 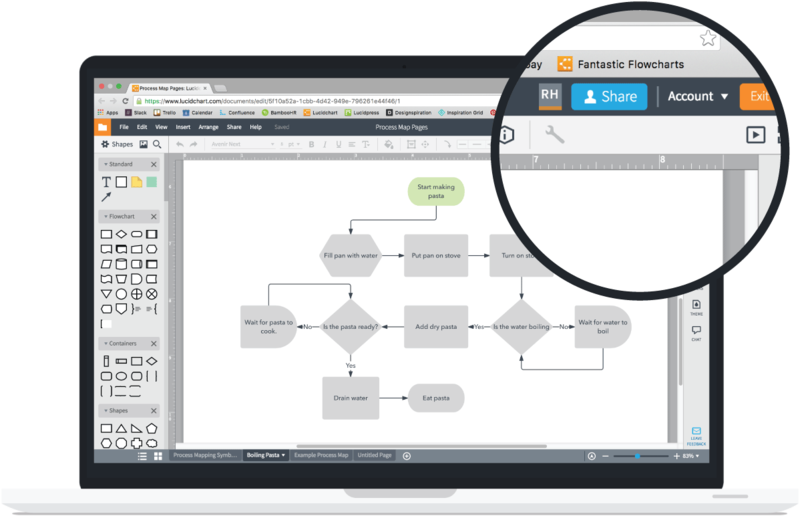 Lucidchart is compatible with every major operating system, including Mac, Windows, and Linux. You can even use our iOS and Android apps to create on the go. Access, edit, and share your documents anytime, anywhere. Connect our process flow software to all of your favorite workplace apps. Whether you prefer G Suite, Microsoft Office, Atlassian, or Slack, Lucidchart provides a seamless way to share and store diagrams within your established ecosystem. Lucidchart provides the collaboration, compatibility, and ease of use you need to start improving processes across your organization.